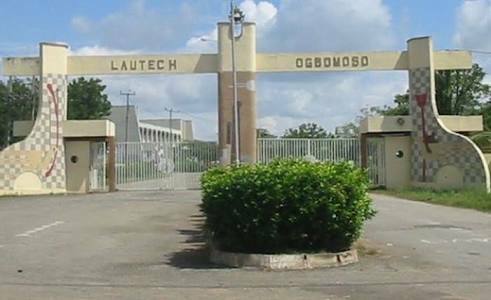 The imbrolio that is brewing in the Oyo and Osun States jointly owned Ladoke Akintola University of Technology (LAUTECH), Ogbomoso, is yet to abate as the Academic Staff Union of Universities (ASUU) of the institution on Monday warned parents and guardians not to allow their children to be used against lecturers in the institution. The union gave the warning while reacting to some reports that the institution has resumed for the 2018/2019 academic session on Monday. ASUU while insisting that the union was still on strike, described as surprise the insistence of the management, that has barely one month to the expiration of its tenure, to coherce ASUU so that the school will reopen would and therefore create frictions among members which has never happened in the 29 years of existence of the University. The union in a statement jointly signed by its Chairperson and Secretary, Dr. Biodun Olaniran and Dr. Toyin Abegunrin respectively declared that as far as the union was concerned, "there is no academic activities going on at LAUTECH as the union is still on national strike, which has been complied with by our teeming members". The duo in the statement which was made available to journalists in Ibadan said, "As far as the union is concerned, there is no academic activities going on at LAUTECH as the union is still on national strike, which has been complied with by our teeming members. "However, the union is monitoring the activities of the University management at sowing the seed of discord among members, which the Union would use all instruments at her disposal to forestall. "It is surprising that the management that has barely one month to the expiration of its tenure would want to create frictions among members which has never happened in the 29 years of existence of the University. At the appropriate time, the motive for this unbecoming acts and the creation of crisis would be known to the public. "Representatives of Ogbomoso Parapo and Parents' Forum met with the leadership of ASUU, LAUTECH chapter today 7 January, 2019 to discuss their involvement in the on-going national strike of ASUU. "At a meeting that lasted more than two hours, the position of the union in the spirit of national struggle of ASUU was explained. At the end of the meeting, the group was satisfied with explanations of the lecturers for their participation in the strike, which is hoped to be resolved very soon. "Therefore, the union commended the parents for their understanding, urging them not to allow anybody to use their children against their teachers, noting that the Union is still on national strike in LAUTECH. "Recall that LAUTECH has been in the eyes of the storm for quite a while. This is due to no other reason than the problem of chronic underfunding of the institution by the owner states of Oyo and Osun. At a point, salaries could not be paid, the laboratories and workshops were ill-equipped for practicals in a science and technology university, simple drugs became unavailable in the university clinic, sporting activities became relegated to the background due to non-funding of the unit, etc. "In spite of the outcry by the staff unions, government insisted that the university should continue running on IGR. The improbability of this was made clear by the Wole Olanipekun's Visitation Panel who recommended, among others, that the owner states of Oyo and Osun should live up to their funding responsibilities to the university as a public institution . Tired of working without salary, all the staff unions on campus went on strike which lasted for months before the governments made some epileptic response by releasing money for payment of few months salary without shifting position from thier insistence that LAUTECH should fund itself. To summarise the long story, the failure of that experiment has brought the institution to its knees. "The situation would have been worse in the area of infrastructure but for the periodic interventions from the Federal Government in terms of ETF, TETFUND, NEEDS ASSESSMENTS, etc, put in place by the patriotic struggles of our union, ASUU. It is such realities that has once again forced our union at the national level to embark on the current struggle. For the avoidance of doubt, LAUTECH as usual is fully part of it and will not back out until the national suspends the action. Backing out at this stage, LAUTECH risks being denied all the benefits accruing as dividends of the struggle. This obviously will be too monumental for the institution. Undoubtedly, ASUU noted that nobody should be considered ignorant of the fact that the recent attempt to break the strike so that students can resume and pay their tuition, is purely altruistic especially at this transition period in LAUTECH, when the outgoing officers need to take their 'take- home- perks of office ' aka severance package. The union contended that money has to be available to be able to do this before they leave office and the only sure source of such money is the almighty IGR. "The frenzy for resumption even while ASUU national strike is ongoing can only be understood within such context. That is why our members should open their eyes before being hoodwinked into acting against the national directive. It is saddening and curious that few of our members are lending themselves to such ploy. This is the time for deep and sober reflection. The struggle continues and victory is certain".